Curators Ana Janevski and Nomaduma Masilela. Photo: Nada Žgank for Igor Zabel Association. WE HAVE A BIENNIAL, what are we to do with it? It is so indivisible and so . . . ours. If Osip Mandelstam rejoiced to see his body blow warm breath against “the window glass of eternity,” it still remains to be seen what kind of mark our globalized art world may leave on the Future. 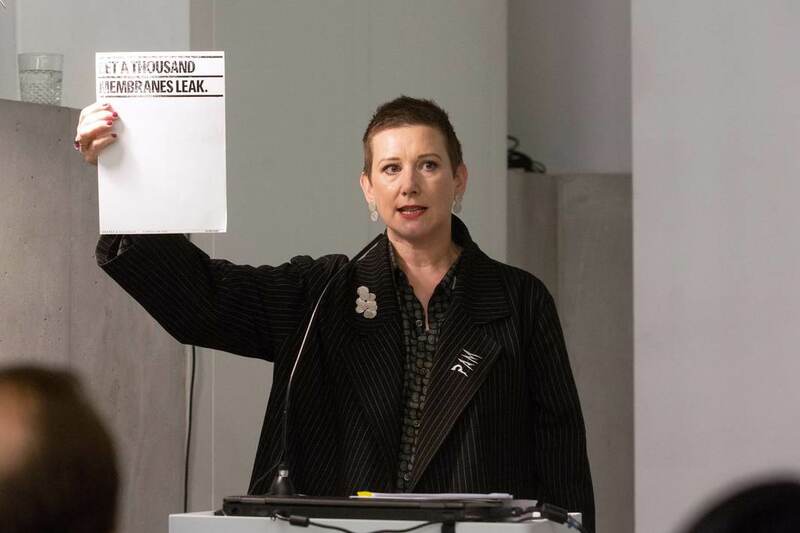 The millennial explosion of biennials and large-scale exhibitions has paved a global highway for the circulation of contemporary art, giving rise to an international community with its own vernacularinstead of shibboleth, we have Szymczyk. We’ve effectively achieved the “platform for international discourse” that everyone talks about in their mission statements, yet what have we managed to say with it? So far, mainly some decolonial buzzwords and virtue-signaling platitudes, trumpeting the supposedly shared values of our little community like so many bumper stickers on the back of a diesel-engine Passat. In acknowledgment of this predicament, biennials find themselves under increasing pressure to reinvent the very conventions that give them currency. In the end, where does this get us? 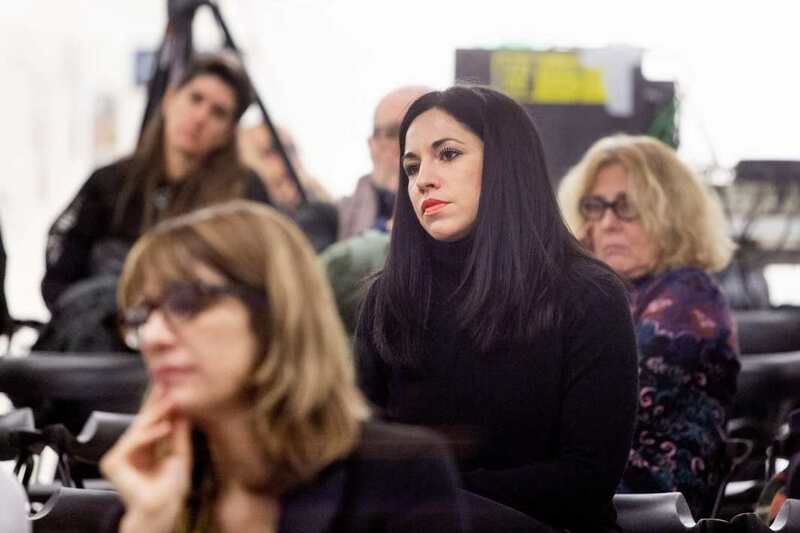 This was the conundrum at the heart of the December 7 symposium held at Ljubljana’s Moderna galerija as part of the program of festivities around the Igor Zabel Award. Named for the late Ljubljana-based critic and curator, the biennial prize seeks to recognize broader cultural achievements within a scope it now defines as Central, Eastern and South-Eastern Europe. (Basically, what countries do you think of when you think of Europe? Okay, so not those.) 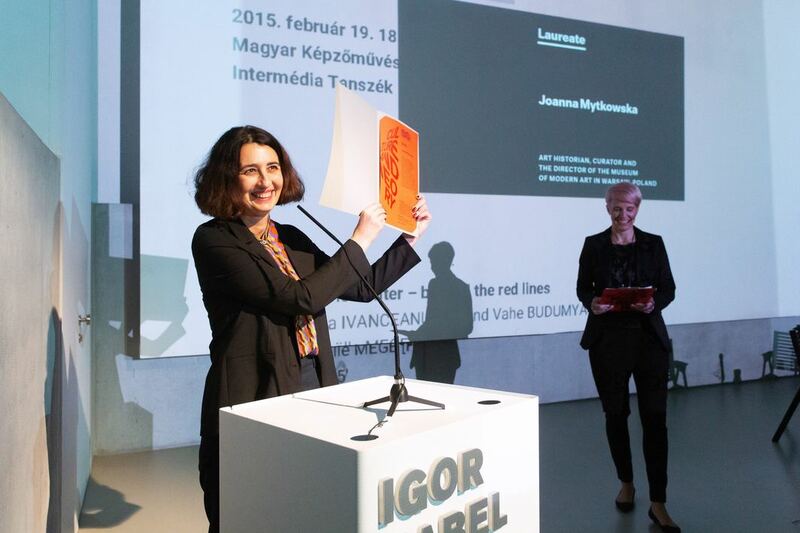 This year, the €40,000 Igor Zabel Award for Culture and Theory went to director of the Museum of Modern Art in Warsaw, Joanna Mytkowska, while jury members Adam Budak, Ana Janevski, and Erzen Shkololli also awarded €12,000 grants to Czech curator and writer Edith Jeřábková, the Moldovan young artist society Oberliht Association, and the Kyiv-based Visual Culture Research Center. Igor Zabel Award laureate Joanna Mytkowska. Photo Nada Žgank for Igor Zabel Association. 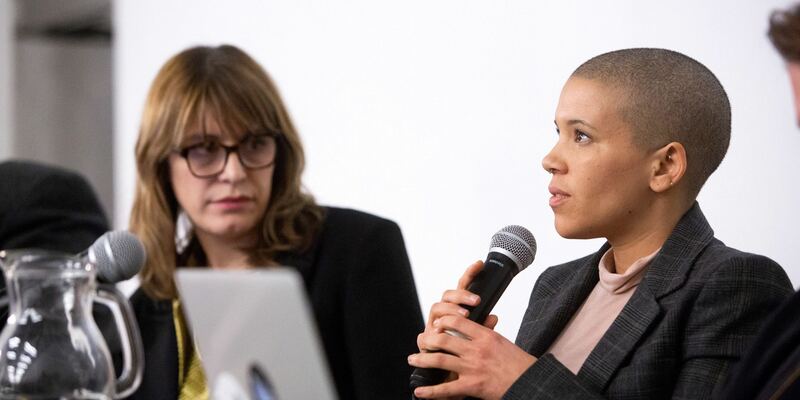 The symposium bore the clunky title “ArtHow Much Is It Still an Idea for the Future?” but the question really boiled down to whether we can envision a future for art beyond the globalized biennial circuit. Weighing in were such venerable curators as Clémentine Deliss, Zoran Erić, iLiana Fokianaki, Nomaduma Masilela, Cuauhtémoc Medina González, Lívia Páldi, and Adam Szymczyk. 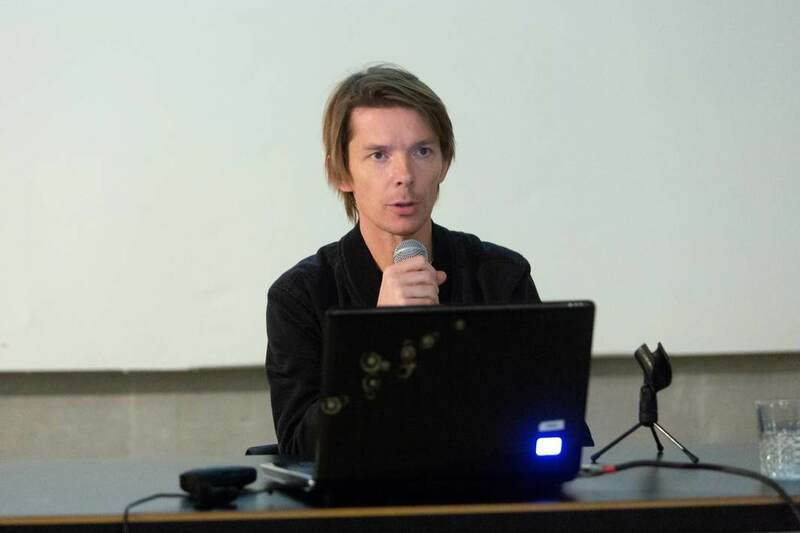 Keynote speaker Marcelo Rezendethe former director of the Museum of Modern Art of Bahia and the current codirector of Dresden’s Archiv der Avantgardenstarted off with Louis Althusser’s notion that “the future lasts forever,” summarizing the philosopher’s famous metaphor of the train: “The idealist is the man who gets on the train knowing his final destination, while the materialist takes the train in motion, not knowing where he’s headed.” In a pharmaceutical commercial–esque disclaimer, Rezende added, “Of course, Althusser wrote this in an insane asylum, after strangling his wife.” In the #MeToo era, one thinks Rezende might have led with this. Or maybe found another metaphor? But the train it was. 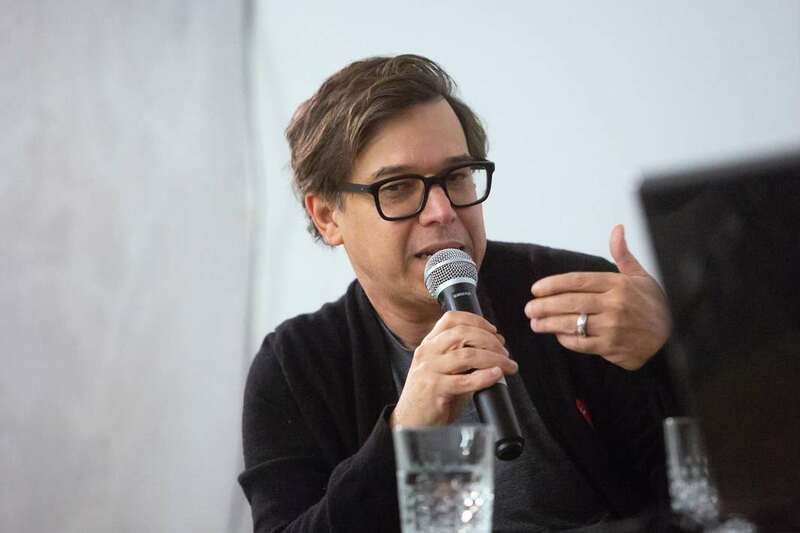 The rest of Rezende’s thesis revolved around the idea that wecultural movers, shakers, and candlestick-makershave taken over the train through the partnership of art and ideology. 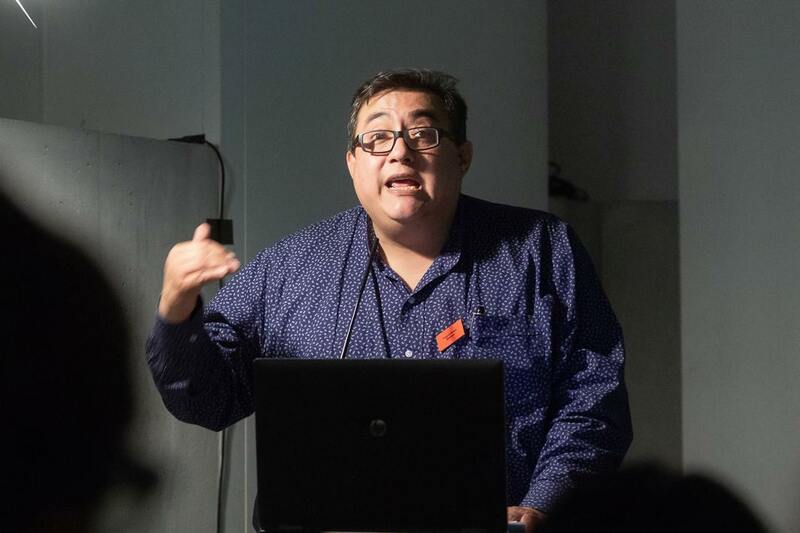 Curator Cuauhtemoc Medina Gonzalez. Photo: Nada Žgank for Igor Zabel Association. Curator Adam Szymczyk. Photo: Nada Žgank for Igor Zabel Association. But what happens if the community doesn’t agree with your idea of useful? I thought of the unfortunate turn of events that saw Olu Oguibe’s Arnold Bode Prize–winning Monument for Strangers and Refugees, 2017, a sixteen-meter obelisk, uprooted from the Königsplatz after a push from the far-right AfD party (the same party that later sued former documenta CEO Annette Kulenkampff for mismanagement of public funds in the wake of its gobsmacking $8 million-plus deficit). It’s one thing to blame the evil political party; it’s another to acknowledge that that party has living, breathing support. The bumper-sticker values of Biennial Culture aren’t automatically universal, just because e-flux tells us so. To return to Althusser’s metaphor, Szymczyk suggested the train had derailed after encountering an obstacle. But, having previously touted the value of “a history of necessary failures” (wink wink, nudge nudge? ), the curator insisted that this “moment of interruption” was “actually quite productive.” Yes, if you’re into train wrecks. Artist Jasmina Cibic. Photo: Nada Žgank for Igor Zabel Association. The problem with biennials, in Fokianaki’s approximation, was that they “fail to escape the notion of state power they seek to condemn, fetishizing Western modernity.” At the same time, the curator didn’t necessarily share Medina’s optimism for the local, recalling how increasing demands from Flemish nationalists helped drive Fokianaki and her fellow curators to resign from their position at Kunsthal Extra City this past September. With so many questions still unanswered, I regret that I had to slip out early: I had a train to catch. 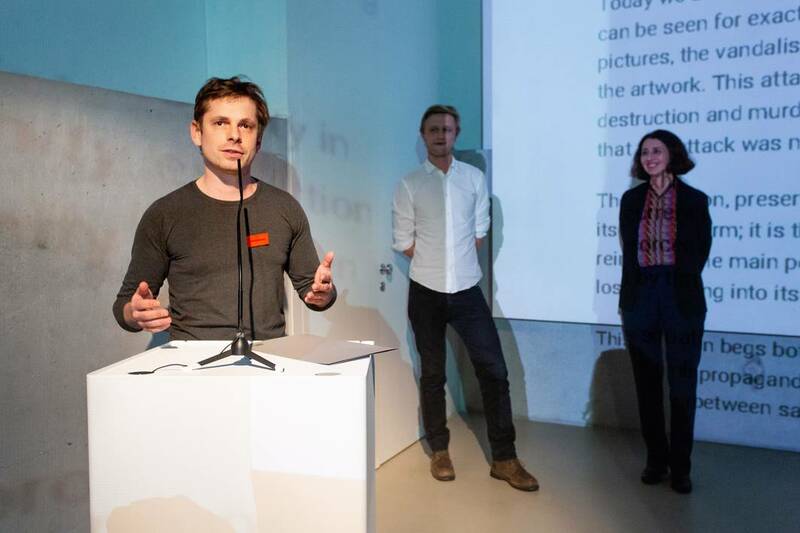 Igor Zabel Award Grant winner Oleksiy Radynski, of Kyiv's Visual Culture Research Center. Photo: Nada Žgank for Igor Zabel Association. Kunstarchiv der Avantgarden's Marcelo Rezende. Photo: Nada Žgank for Igor Zabel Association. Curator Clementine Deliss. Photo: Nada Žgank for Igor Zabel Association. 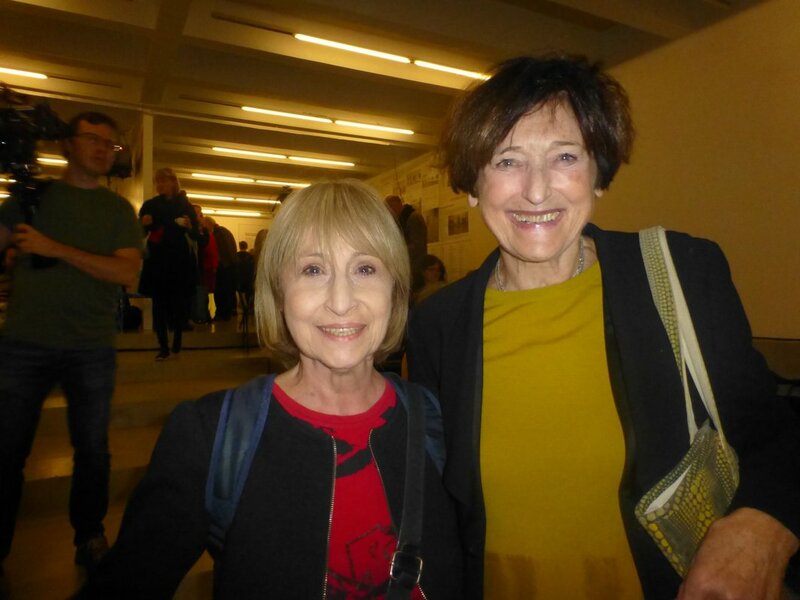 Artist Sanja Ivekovic and curator Silvia Eiblmayr. Photo: Kate Sutton. 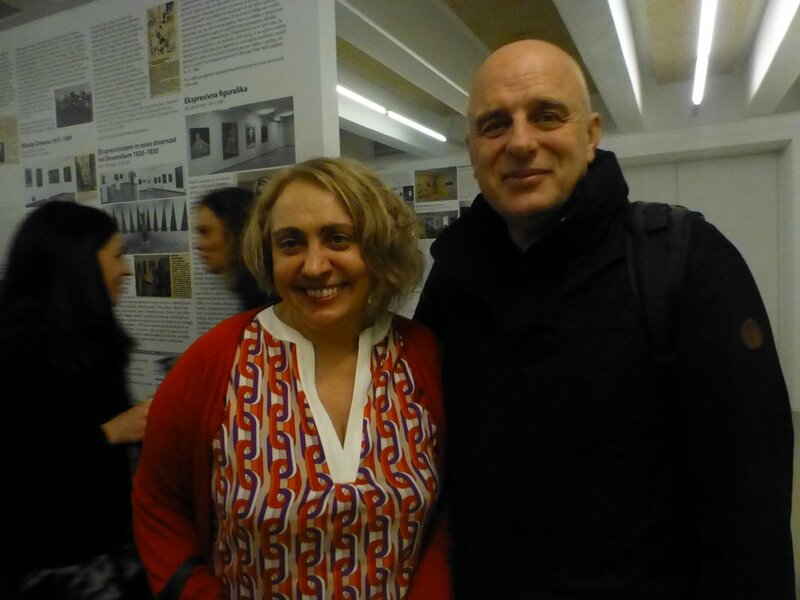 Curator Ana Janevski and writer Marek Beylin. Photo: Kate Sutton. 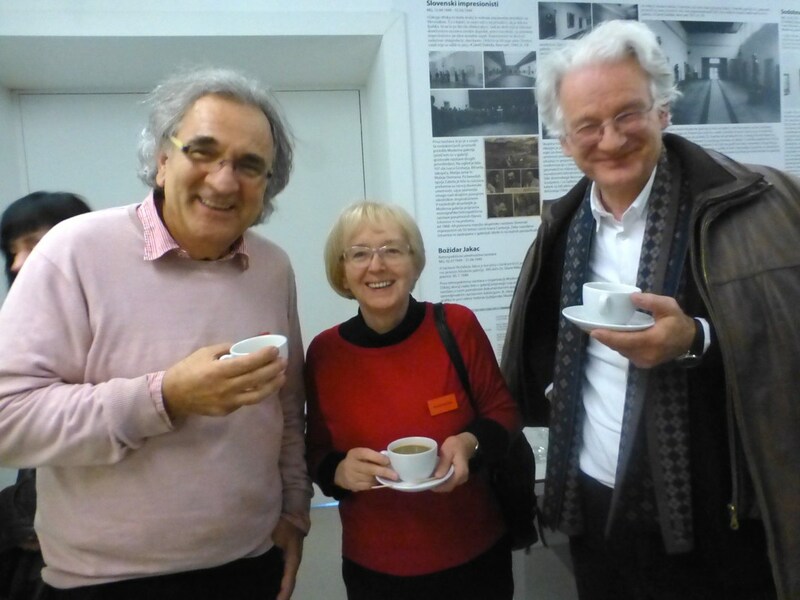 Curator Branka Stipačić with Irwin members Miran Mohar and Borut Vogelnik. Photo: Kate Sutton. 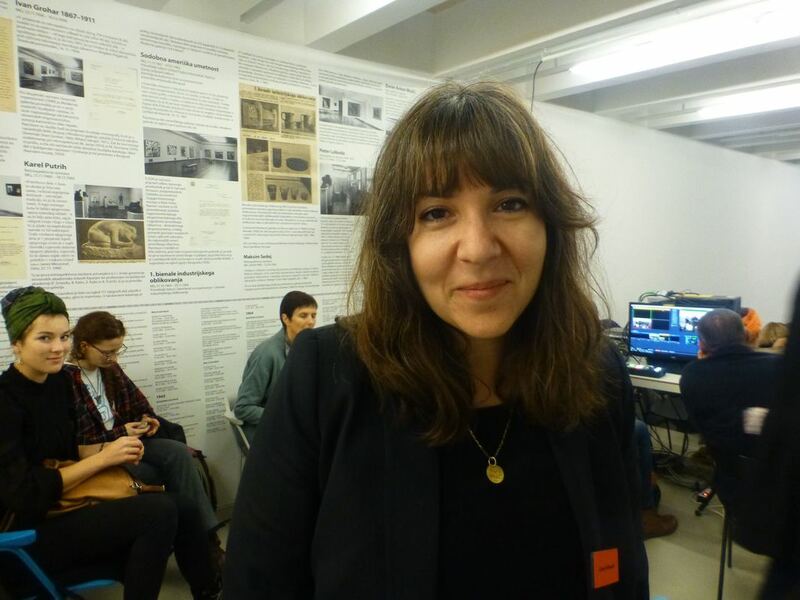 Curator iLiana Fokianaki. Photo: Kate Sutton. 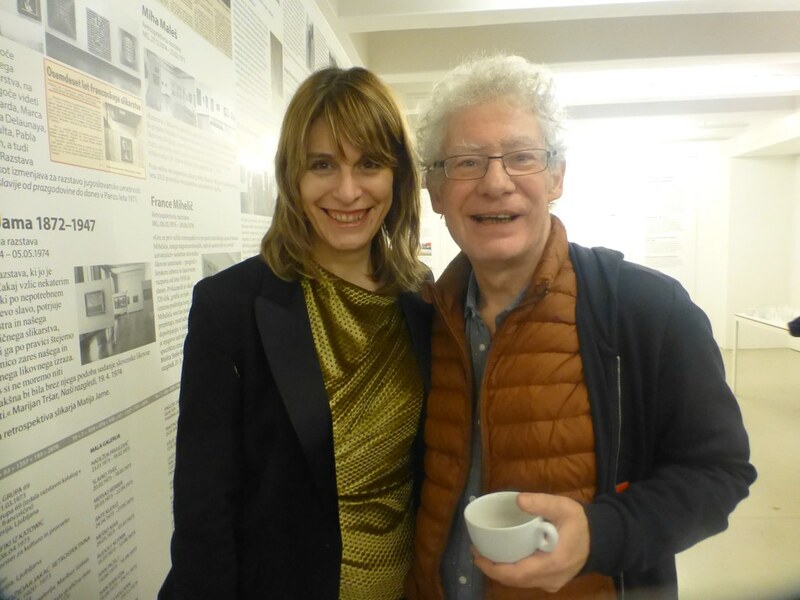 Curator Katya Degot and artist Dragan Živadinov. Photo: Kate Sutton. 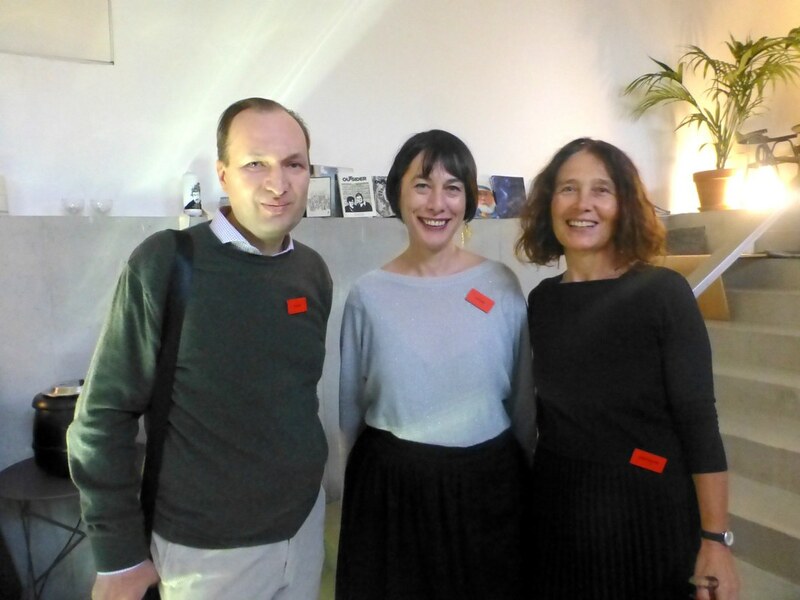 Curators Zoran Eric, Ivet Curlin and MG+MSUM's Adela Železnik. Photo: Kate Sutton. 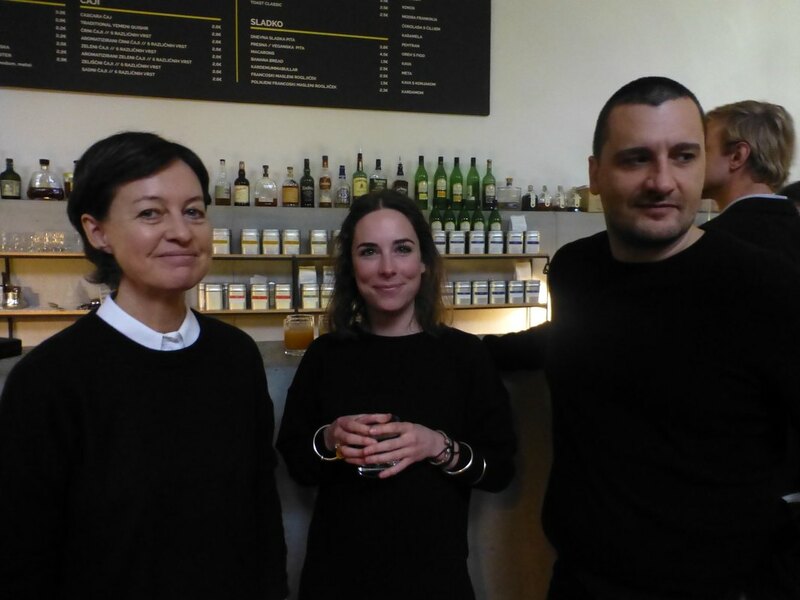 Kontakt Collection's Kathrin Rhomberg and Hephzibah Druml with artist Sinisa Ilic. Photo: Kate Sutton. 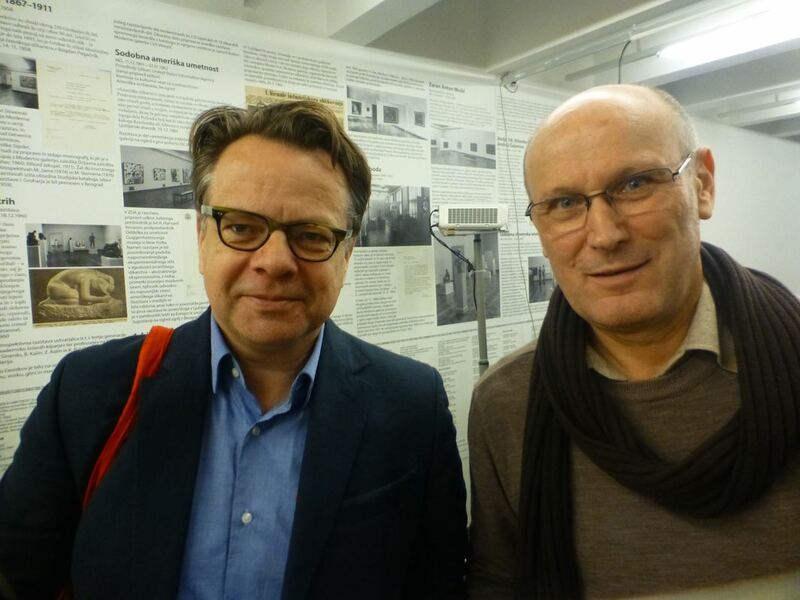 Viennafair's Renger van den Heuvel and artist Josef Dabernig. Photo: Kate Sutton.